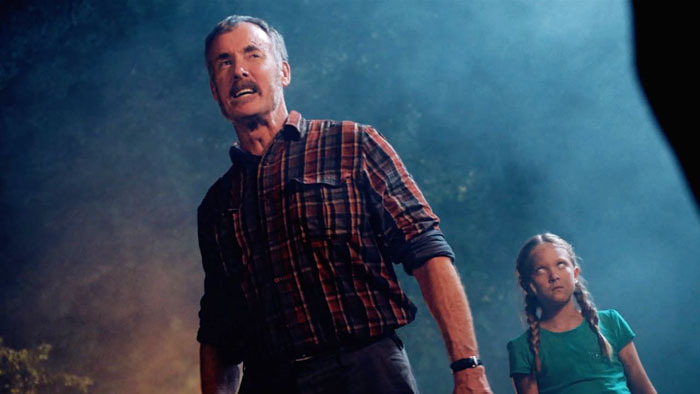 There is an interesting detail buried in a recent IFC announcement about the second season of STAN AGAINST EVIL, which is now filming in Georgia. The press release rightfully focused on upcoming guest appearances by such folks as Jeffrey Combs, David Koechner and Patty McCormack, but it was the name of a character played by Denise Boutte that caught my eye: "Lara Bouchard." Yes, it's quite possible to get so wrapped up in something you love that you'll see patterns where there aren't any. It's probably just a coincidence that actress Lara Parker played a character named "Angelique Bouchard" on DARK SHADOWS. Not everything is a conspiracy. Sure, series creator/writer Dana Gould frequently describes STAN AGAINST EVIL as the "funny cousin" of our favorite gothic soap. He's even been seen wearing a "Blue Whale" t-shirt. And then there's that Barnabas Collins throw pillow. But yeah. Probably a coincidence.